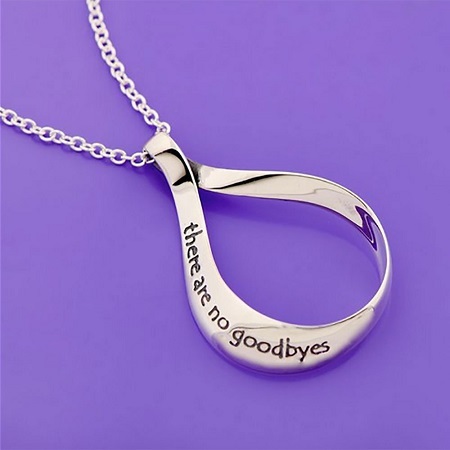 Offer an enduring sympathy gift with the remembrance necklace, There Are No Goodbyes. The tear shaped necklace is formed of a continuously twisted ribbon, representing eternity. 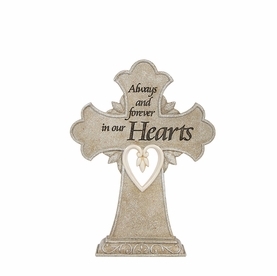 The sterling silver pendant is made in the USA and offers a simple, yet eternal message. 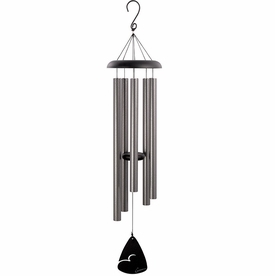 "This necklace can be worn with either side facing out. It is inscribed 'there are no goodbyes' from Mahatma Gandhi's complete quote, directed to his close friend, the Christian missionary Charles Andrews: 'There are no goodbyes for us. Wherever you are, you will always be in my heart.' 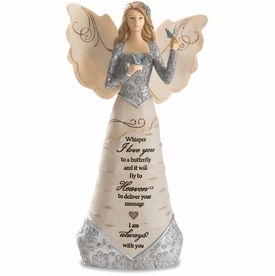 A beautiful sentiment to give to a soulmate of any kind; a sister, a child, a lover, or to wear oneself and remember." Care Instructions: Polish with a dry silver polishing cloth. Silver polish is not recommended since this may remove the antiquing. 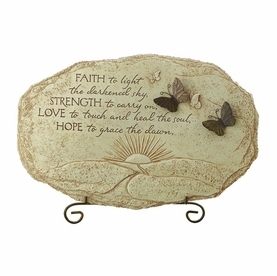 Express your sympathy with this heartfelt gift of remembrance.